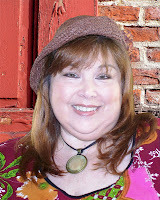 The author says that it was her 8th novel that opened the door to finding her way as a writer. "I'm a Christian woman, first and foremost," she says. "So it was a bit of a dream-come-true when Summerside Press chose me as one of two authors to launch the Love Finds You line." Sandie's real-life role as cancer survivor has parlayed into her steadfast commitment to raising awareness and funds for ovarian cancer research. Spearheading a series of devotionals for Summerside Press (such as the popular His Grace is Sufficient...Decaf is Not), the author has stipulated that a portion of each contributor's proceeds will go to the Ovarian Cancer Research Fund. "Being allowed to combine my faith and my humor with raising funds for my pet projects ... and still pursue my writing dream," says Bricker, "well, that's the best of all worlds, as far as I'm concerned!" And one of the author's pet projects is animal rescue, evidenced by the special bond she has created with one particular formerly-abandoned puppy -- a red-haired collie with "killer brown eyes and the heart of the class clown." 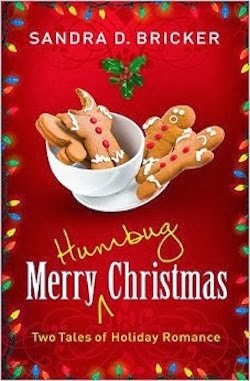 A Merry Humbug Christmas features two holiday romance novellas from hilarious and heartwarming author Sandra D. Bricker. -- the perfect gift to yourself or someone else at this most wonderfully stressful time of year. In "Once Upon a Jingle Bell," A Bah! Humbug cruise to the Mexican Riviera is Joss Snow’s answer to this year’s quest to avoid the holidays completely; at least until she’s rebooked on a different kind of cruise altogether. Candy canes, holly wreaths, reindeer and ornaments seem to be stalking her on the 12 Days of Christmas holiday cruise extravaganza. An escape back to land is her only goal . . . until she meets a kindred spirit in rugged Irishman Patrick Brenneman, and then the game is on! Avoid Christmas festivities at all costs . . . except maybe for that one stop under the mistletoe. In "It Came Upon a Midnight Deer," Reese’s guilt over abandoning best friend Joss on their holiday tradition of avoiding all things Christmas is trumped by the joy of her recent engagement. Meeting Damian’s family for the first time on idyllic Sugarloaf Mountain is about as far from that Bah! Humbug cruise as she can get, and Reese can hardly wait to get there. But from the moment they hit that deer in the road just two miles from the cabin, everything seems to go wrong. There are no drummers drumming or pipers piping this particular year! And once she sets her future in-laws’ family cabin ablaze, she’s pretty sure there won’t be even ONE golden ring in her future. If you would like to read the first chapter of Merry Humbug Christmas, go HERE.